Value. 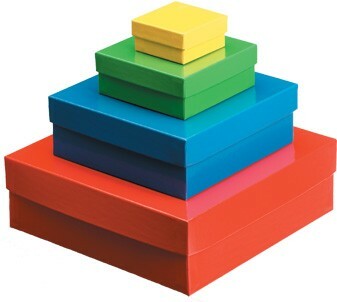 Quality set up boxes and folding boxes. Old fashioned customer service. Brimar Packaging USA is a custom, wholesale packaging manufacturer. We specialize in manufacturing custom set up boxes, vinyl boxes, folding boxes, and inserts. Call us, and a real person will actually answer the phone. Our claim to fame is our award winning customer service. Every process in our company is designed with your needs as our priority. Our lead-times are short only if YOU say they’re short, and we’ll still quickly adapt to your changing needs because we are the box manufacturer and we have an extremely efficient production facility. Your boxes project your brand and tell the story of who you are to your customers. Brimar understands this and makes sure your boxes are the highest quality in the industry. Your satisfaction is our guarantee. We are certain you will like the quality of our products. If you don’t, then don’t pay for them until we re-make them to your specifications and your satisfaction. For over 25 years, Brimar Packaging has manufactured top quality set-up boxes, vinyl boxes, folding boxes, and custom inserts right here in Avon, Ohio USA. Our promise has never changed. We promise to provide you with the best customer service and best quality set up boxes, vinyl boxes, and folding boxes in the industry. Period. Boxes Made in the USA! Being an American manufacturer is an honor and a privilege that we don’t take for granted. We’re proud to support the American workforce by buying American made materials, operating American made machinery, and employing hard working Americans.